Manchester Park homes in Providence Las Vegas real estate by KB Homes held a grand opening this past weekend. Manchester Park real estate opens two collections, Weston and Coventry homes. 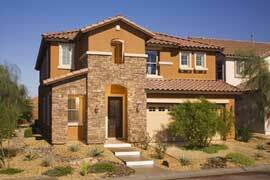 The new homes for sale in Las Vegas, Nevada start low $300,000s. 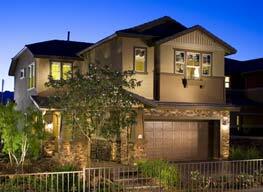 The Weston also features four, two-story floor homes plans with formal dining and living rooms. 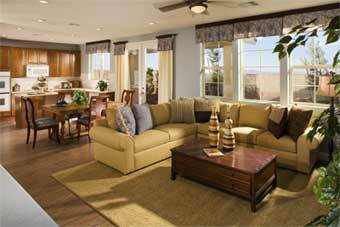 Providence homes in Las Vegas options include additional bedrooms. Homes in Weston range from 2,121 to 2,856 square feet and include three or four bedrooms, 2 1/2 or three baths and two-car garages. The Weston collection design creates a great use of space featuring new homes for sale in Las Vegas with garages located in the rear of the house. The Bonito Collection of KB Home’s Chaco Canyon community located in the Mountain’s Edge real estate master-planned community debuts the de Chelly floor plan. The 2,784 square-foot home features four bedrooms, two to three baths, dining and formal living rooms, family room, a den, upstairs game room and two-car garage. Options are available for a balcony and additional bedrooms.